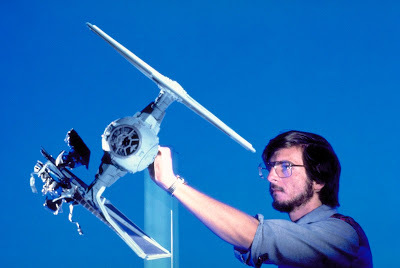 One of the pioneers behind the visual effects of the Original Trilogy is getting some well deserved recognition. Ken Ralston, who served as Visual Effects Supervisor on Return of the Jedi, is receiving the Visual Effects Society's Lifetime Achievement Award at the 15th annual VES Awards on February 7th. Ralston also worked as assistant cameraman for the miniature and optical effects unit on A New Hope and effects cameraman on the miniature and optical effects unit on The Empire Strikes Back. Ralston currently works as Visual Effect Supervisor and Creative Head at Sony Pictures Imageworks. His other credits include the Back to the Future trilogy, Forrest Gump, Men In Black III, and Alice Through the Looking Glass. "Ken Ralston is an amazing force and a defining voice of the visual effects community. His creativity, leadership and ability to use technologies to enhance the art of storytelling have brought us some of the most memorable films of all time. His pioneering work has truly raised the bar and helped redefine entertainment and our industry." On behalf of all us at The Star Wars Underworld, I want to congratulate Ken on an impressive, most impressive career and for this prestigious award!